Whew, what a day! I had planned on getting this post up about 8 hrs ago but we lost power! We have no clue why, but its about the 3rd or 4th time in the last 2 months. Its not unusual for us to lose power in the winter but in the summer? It's cloudy and in the 50's but no rain, no wind so who knows what the cause was. 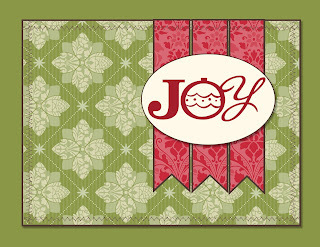 The challenge over at Jingle Belles right now is to use digital elements on your Christmas card. Now I'll be completely honest and admit that I am not a fan of digital cardmaking/scrapping, whatever you call it. I prefer to have my hands on the materials and work like that. 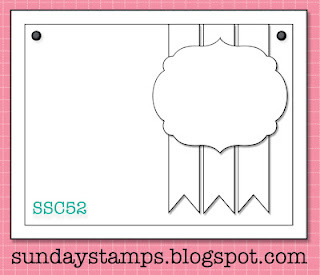 I do own Stampin' Up's digital program MDS, so I decided to try it out (I never use it, again, being honest) and see what I could come up with. 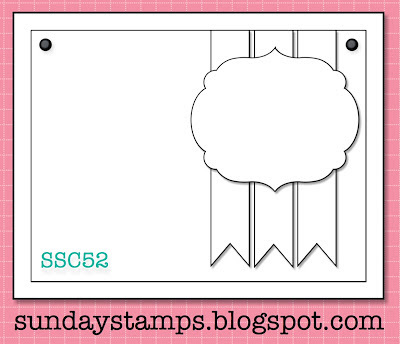 I used the past challenge at Sunday Stamps as my guide, as it was a nice and simple sketch. I didn't want to get too involved since I don't know what the heck I'm doing! I also didn't print out my card, one step at a time for me please LOL Hopefully this will still count for the challenge. 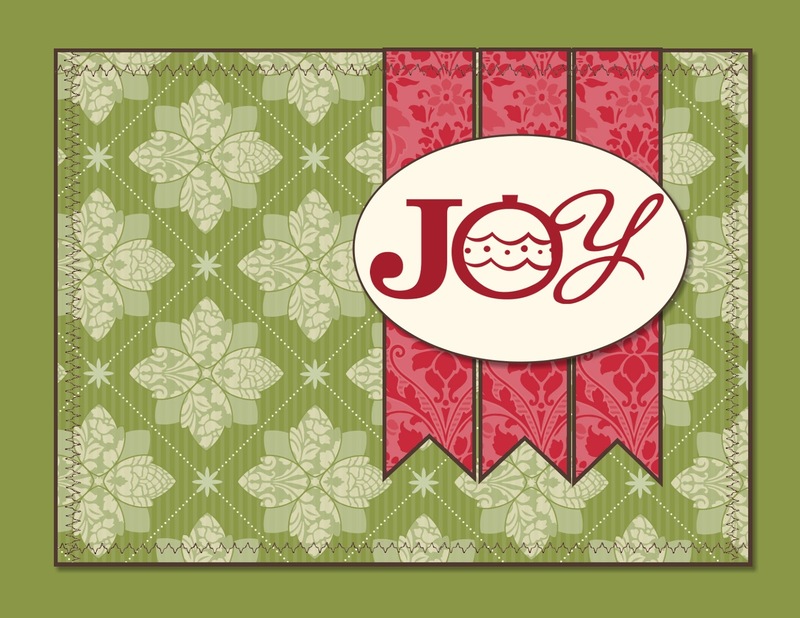 I love the Jingle Belles blog and hate not being able to play with them! For not knowing what you're doing, I have to say you rocked it ... great colors, composition, patterns ... so very glad you were able to join us at jingle belles. I love it. Honestly speaking (!) I really love it. It's so pretty, such lovely papers, such great colours - so classic and yet whimsical at the same time. I agree that it looks so "real" and if you get it printed out it will make someone's day at Christmastime! Another great MDS project from you.. I love how you used the Sketch Great XMas card! Thanks for joining us at Sunday Stamps.